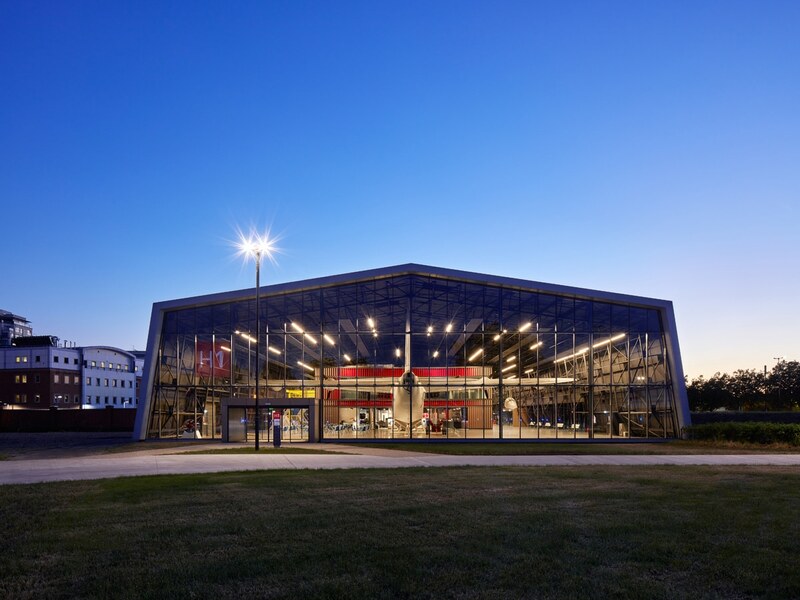 The RAF Museum London, on the site of the former RAF Hendon, was re-opened in the Summer of 2018, after a £23 million refurbishment. The work was undertaken by Nex Architecture, a practice known for their sensitive work within historic and cultural settings. The ambition for this project was to create a high-quality public space that would reconnect with both the local community and a wider audience. The eight-hectare site was substantially re-landscaped, existing buildings were refurbished and repurposed, and entirely new exhibition and visitor facilities were created. Nex Architecture paid homage to the original airfield runways by creating a circular ‘taxiway’ that connects all the exhibition spaces and facilities. This created a more open feel to the site, allowing visitors to move around in a more fluid and intuitive way. 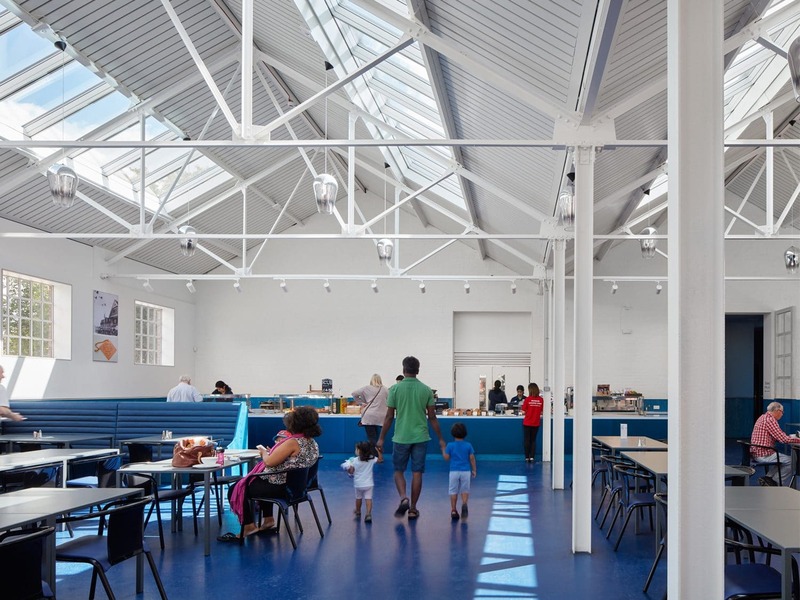 The large-span 1970s single roof hangar was refurbished to include a deep cantilevered roof canopy entrance and a two-floor central pavilion that houses a shop, cafe, facilities and flexible use spaces. 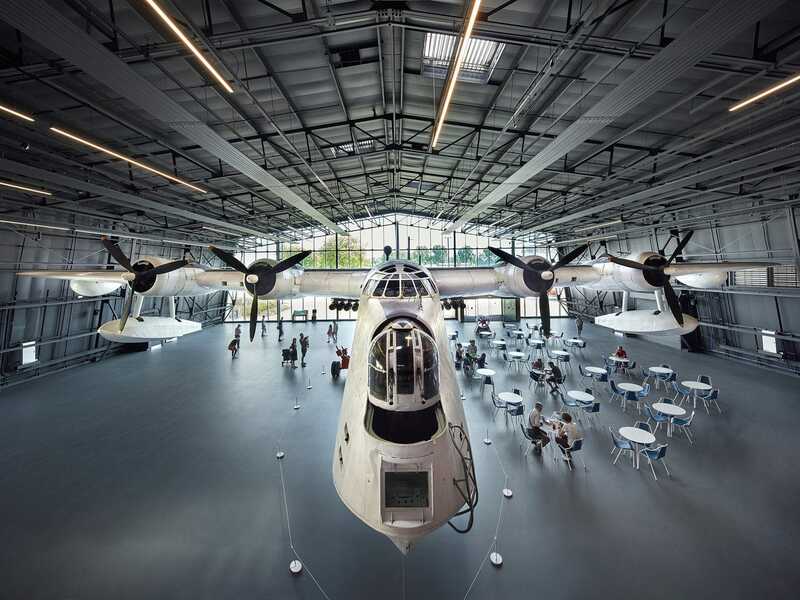 Across the site, Nex also restored and refurbished a 1930s RAF supplies building, to create a spacious 170 seat restaurant. SCP Contracts worked closely with Nex Architecture on the specification of all chairs and tables across the site. They also worked in partnership with Nex and furniture designer Jennifer Newman on the creation of an entirely new product for the project. After the client found there was no café table on the market that would work both indoors and outdoors, stack and be suitable for wheelchair users, they developed one from scratch. This product, the Café Table by Jennifer Newman, has subsequently been put into full production.